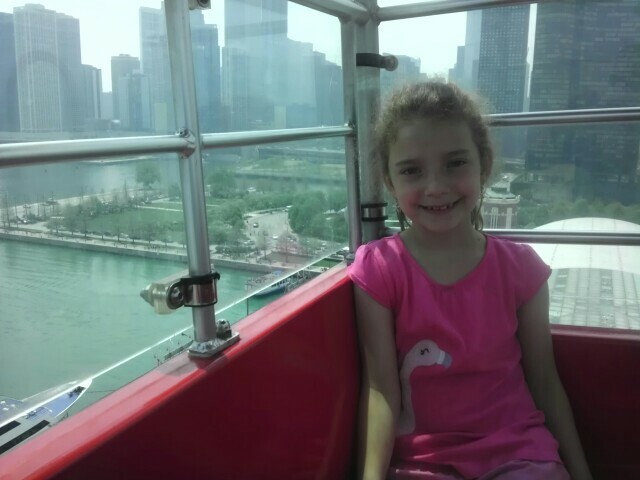 I took my 8 year old on Chicago’s Navy Pier Ferris wheel this past Sunday. With three other kids, running club, tae kwan do, soccer and a birthday party–I had to jump over a number of hurdles to get just the two of us alone on that ride. 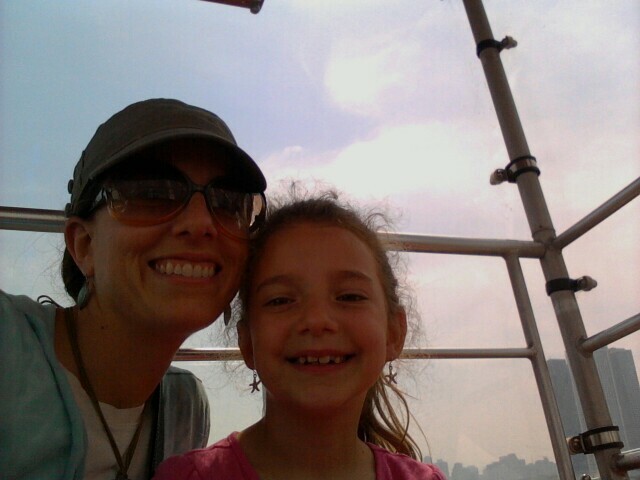 But for my only kid who asks for almost nothing, who somehow got it in her head that all she wanted for her birthday was to ride the Ferris wheel, I was determined to find a way. She squealed the entire time. She even gleefully clapped her hands throughout. The combination of fulfilling her dream and doing something special alone with Mommy was pure bliss. I’m not sure who enjoyed the 5 minute ride more–she, who wanted the ride in the first place, or me, who got to see her enjoy it. I have no doubt we’ll both remember it forever. There’s a daily grind to being a mother, and rare are the moments when I don’t get caught up in it. Sure, I enjoy this role tremendously, but it’s hard to appreciate the glory of it all when there’s just so much to get done. Sometimes, though, we find gifts of time. And usually, we have to create them ourselves. So, as we near Memorial Day, and all the summer days that go with it, my plan is to create memories. All I have to do is find the time.